Wild is Cheryl Strayed’s account of her journey along the Pacific Crest Trail, 1100 miles from California, through Oregon and into Washington State. Following the death of her mother, her family grew apart and her marriage broke up. She was in a pretty bad place, directionless and dabbling in drugs, and one day came across a guide book for the Pacific Crest Trail (PCT). With nothing to lose, she set off with the worlds heaviest rucksack and no experience of long-distance hiking. There are two stories told in Wild, the physical and the emotional. Strayed undertook the journey with the hope that it would help her put her life back together, that she could think through everything that had happened and come out of it stronger. The emotional story of Wild is more retrospective than set in the present of the book, as Strayed finds herself so overwhelmed by the physical challenges of the PCT that at the end of each day, when she expected to watch sunsets and think things through, she only wants to sleep. But every so often a memory is triggered, and she tells us of her mothers death and everything that happened afterwards. For someone so young (Strayed was only 26 when she walked the PCT), she had been through so much. She perhaps hadn’t dealt with it well, but most of us wouldn’t. The tragedy and sadness that Strayed recounts touched me, and made me wonder how I would cope with the same, but with the possible exception of the death of her mother’s beloved horse, which is truly harrowing, it was the physical journey which held me more. The landscapes that Strayed hikes through sound incredible, and awakened an interest in me to know more of the history of this area of America, the wild west. The physical challenges she faces seem at times to be insurmountable, as she encounters wild animals, ice, snow and runs out of water. But the worst by far, and one which we hear about frequently, is her feet. She starts out with boots which are the wrong size, and her feet are basically in tatters for the whole journey. I hate blisters or any kind of foot pain, but whatever I have experienced pales in comparison to what Strayed went through. How she walked 1100 miles on those feet I don’t know. What I would like to know is if her feet ever recovered, but she doesn’t reveal this as she looks back on her journey at the end of Wild. Obviously, the fact that Wild exists tells us that Strayed was not picked off by a bear and did not fall to her death off a mountain. Given the challenges she faced along the way however, whether she finishes or not is something I won’t reveal. What I will say is that although we learn that happiness does come for Strayed, there is a truly sad note to the ending of the story, and one which is unexpected. It means that the book ends with mixed emotions. Wild is an enjoyable and thoughtful read, and Strayed is a good narrator. At times funny, warm and friendly, she also touches the readers emotions as she recounts the hard times of her life. Wild is an excellent account of a touch physical endeavor, but also of tragedy, sadness and a life which has gone somewhat off the rails. Many thanks to Atlantic Books for providing a review copy of Wild. 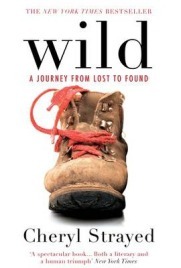 No Comments on "Wild: A Journey from Lost to Found"